Unai Emery accepts it is "more difficult" for Arsenal to qualify for the Champions League after their 1-0 Premier League loss at West Ham. Emery's side were beaten by Declan Rice scoring his first Premier League goal for West Ham and the Gunners have now taken just four points from their last four league games. Chelsea's defeat of Newcastle United at Stamford Bridge than moved the Blues six points clear of London rivals Arsenal in the race for a top-four finish and Champions League qualification. In-form Manchester United, meanwhile, are level on points with Arsenal after maintaining their 100 per cent record under Ole Gunnar Solskjaer with Sunday's 1-0 win against Tottenham at Wembley. And head coach Emery accepts it is going to be tough to steer Arsenal back into the Champions League, the club having missed out on the tournament in each of the past two seasons. 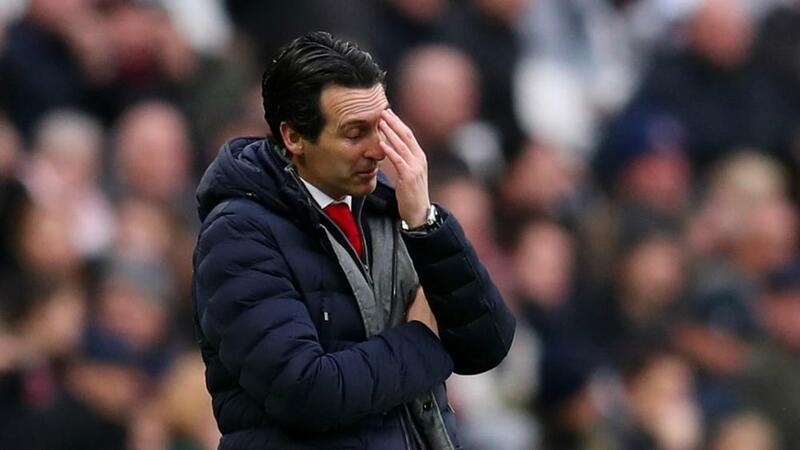 Away form has been a particular headache for Emery, his side having failed to win any of their past five matches on the road in the Premier League. "It's our challenge. Each match is our challenge away," said the Spaniard. "We are working on that. It's also the opposition team. "Like here [at West Ham], for example, they are with their supporters they feel good and strong and can push. We need to take more confidence, more performance collectively, being competitive away to change this moment. We started the season away well, being competitive and winning. "And then sometimes we are doing but like today [Saturday] we need to do more to be more competitive and to impose our idea and our quality. Today West Ham also have very big players." Emery left Mesut Ozil out of his matchday squad for the trip to West Ham despite the playmaker returning to training following an injury. "For me he is like another player," Emery added. "It's one decision, when is coming one player or not coming. "Sometimes he is helping us, at other moments not helping us because of his injury or because maybe the match is not for him. "But he is a good player."